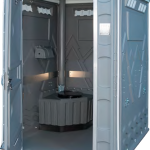 The Vegas 5 station is designed to accommodate larger groups of people with portable facilities. 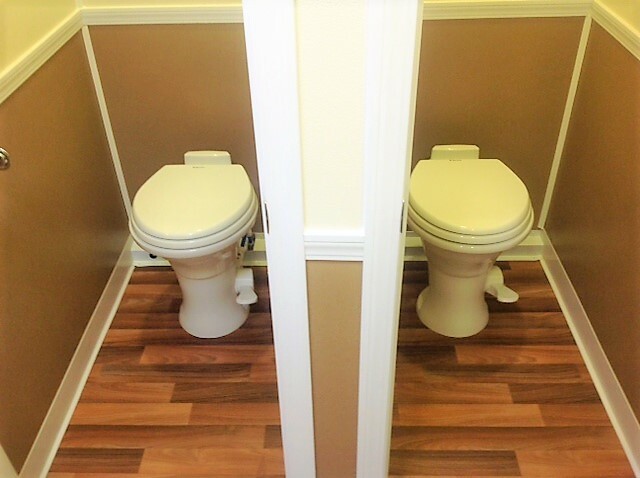 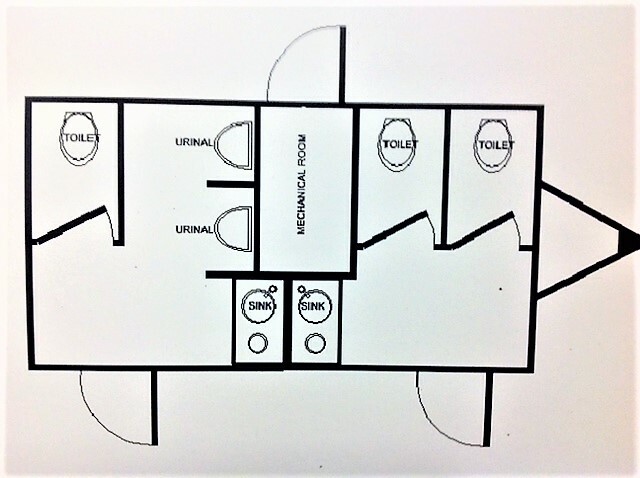 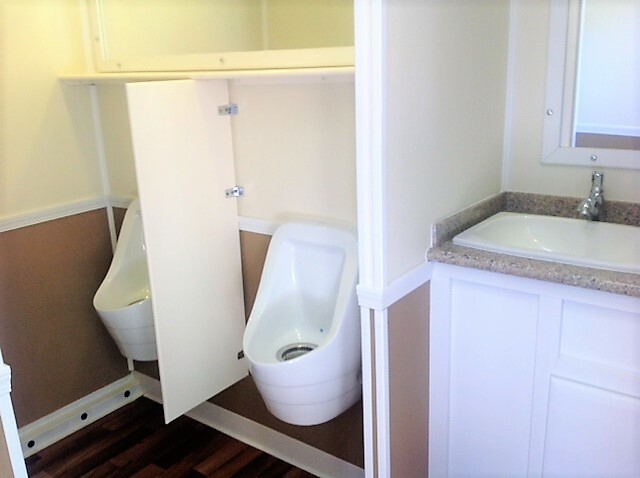 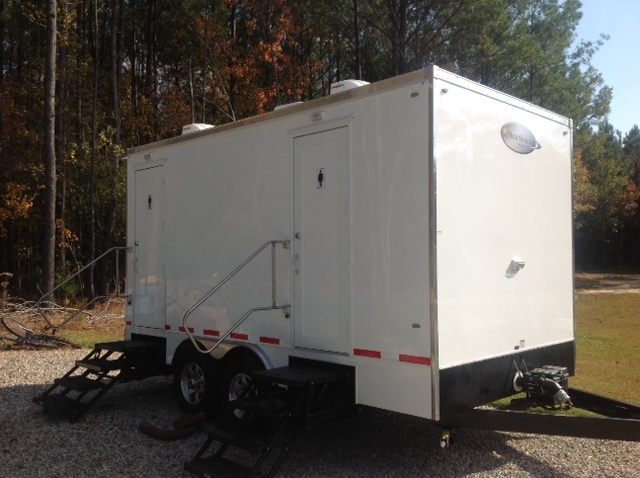 This unit has a male restroom furnished with one sinks, one private stall, and 2 urinals. 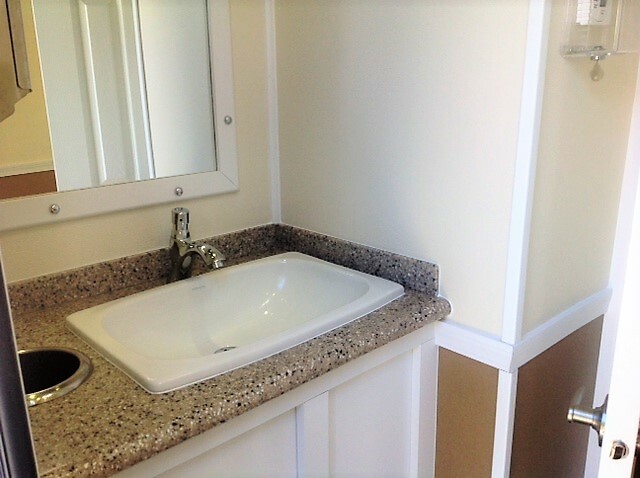 The female restroom is furnished with one sink and two private stalls.